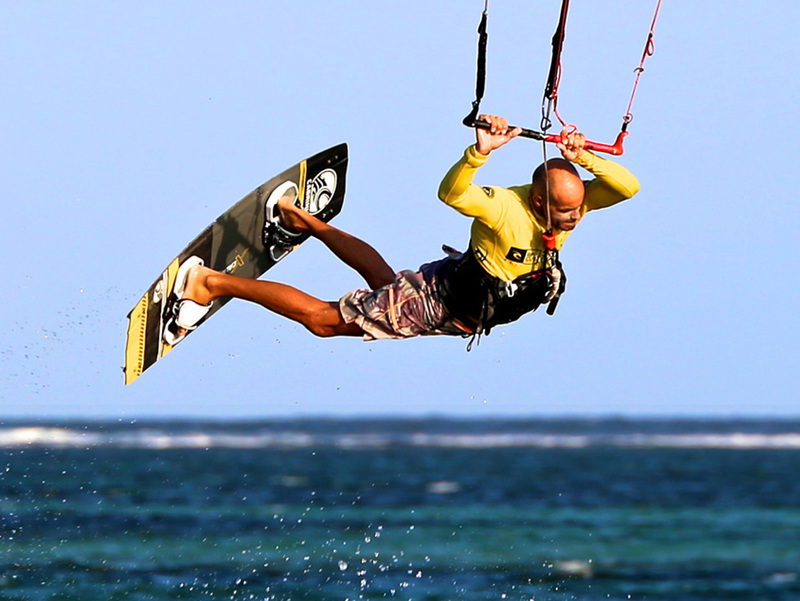 With kitesurfing you aren’t reliant on the waves for speed - all you need is wind and we have plenty of it in Bali. We’ll show you how to take control of your kite, ride across the flat water lagoons and head out to the reefs to surf the waves rolling in. 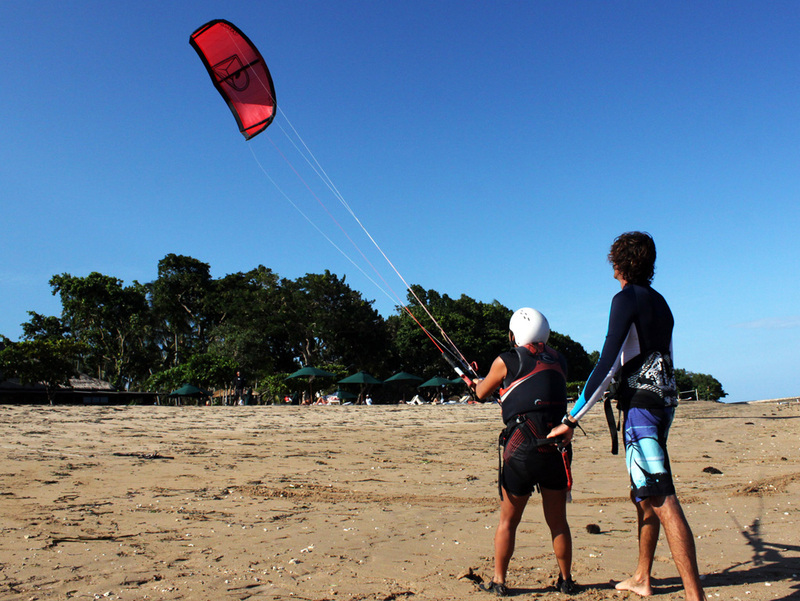 Our International Kite Organisation accredited campus in Sanur is where all the kitesurfing courses take place. Prepare yourself with all the essentials for simple freeriding, and with expert guidance you’ll be progressing to freestyle and wave riding kitesurfing in no time. 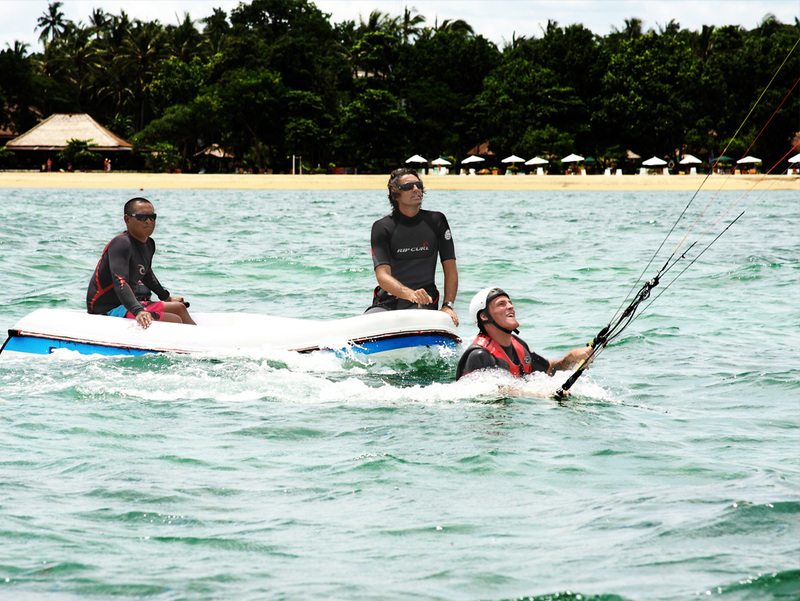 First things first, to kitesurf you need to learn how to fly and control your kite. This entry level course teaches you about setting up all your kite surf equipment and safety procedures, along with invaluable wind window and wind pattern knowledge. You’ll strap into the seat harness and start with a 2-line trainer kite before moving on to a 4-line kite, then finish the course with completing a beach launch. Study up before your course by clicking on the study book icon. Concentrate on learning all the necessary Board Riding skills utilizing our wakeboard boat, Kite board, Kite -harness and Kite bar’n’line system. Learn up wind board recovery, water starts - coming up out of the water both directions using the harness, correct body positioning & edging the board for upwind riding plus turning.